Property: insights | projects | resources | mentoring. 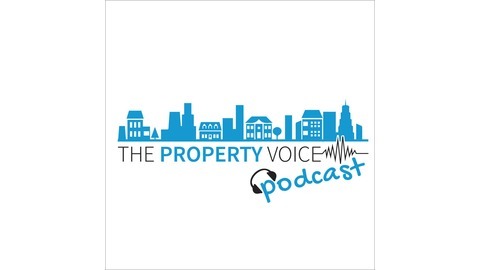 Today, Helen and I are joined on the show by Nicole Bremner from East Eight Developments. It was fair to say that Nicole gave a very open, frank and at times pessimistic view of what it is like being a property developer. So many warts and all insights were shared during the conversation, with some very helpful tips and advice along the way as well. We also discuss some particular challenges and how she is combatting them, so today’s episode is perhaps a bitter-sweet examination of what it’s like to be a property developer in the current climate. Women in Property community, happy to make some introductions, so get in touch! #PropTech: A guide to how property technology is changing how we live, work and invest – a link to the latest book. Discussion between Nicole, Richard & Helen. An Australian, trained as a financial planner but found her qualification was not recognised in the UK. Financial services background and the first hint of being an entrepreneur with a fashion business. Got a job with Goldman Sachs in New York but her first day was when the market collapsed! Three children came along in just over three years as well and so property became a career choice alternative to banking. A successful home improvement project helped Nicole to believe she could be a developer. You can’t have it all, all the time…you have to chose and compromise. Never wanted to feel guilty for being a full-time mum, or as close to be a full-time mum as possible. Ability to attend all the events that the children have is also very important to Nicole. There are never two days exactly the same! Every day is different, which Nicole loves and embraces. Property development as a risky strategy…which Nicole agrees with. Look at the stats, many small housebuilders of ten years ago do not exist now. Cashflow can be the biggest challenge that can bring you down. S24, SDLT, Brexit have all knocked the wind out of the sails of property development. Around two years ago, wanted to slow down and diversify a bit. So heavily weighted in property, so really needed some diversification. Transitioned into being more of an investor than a developer now. Have now invested in a variety of different businesses and sectors, including an auction business, a fashion business and a couple of businesses in the music industry. Looking at safeguarding herself against the downturn to help protect her wealth. Have a feeling of not having such a tolerance for the level of risk anymore. In growth phase this was OK, but now wish to broaden out a bit. Decided wanted to be the client instead of having clients…move away from 160 investors and instead have a focus on less rather than more. Staring out through having some of your own funds and then sought out joint ventures as she discovered this would helped to grow the portfolio. Even though she started with £1m in cash, the same principles apply at £100k or £10k. Crowdfunding was another step changer that allowed growth and acceleration. Still active in property today with 11 sites under development with a GDV of £50m to £80m. Can diversify within property as well as outside of property. For example, serviced accommodation is one of the next waves along with crowdfunding and investing into other people’s projects via mezzanine funding. IFISAs also allow investments into property in a tax-efficient way. Development finance – a much higher weighting of funding against unsecured items, such as tangible land and property. How does crowdfunding and mezzanine finance support developers? In some cases, you can raise up to 90% of funds through crowdfunding. Cogress is one such model, which is well regulated and brings the crowd to you. The Simple crowdfunding model is good for those that have a track record and wish to raise funds through their own crowd in the most part. There are equity (crowdfunding) and debt financing (P2P) platforms. The crowd can also turn on you, as highlighted by one project in South Kensington that could not be sold. Nicole is buying back the shares from the crowd at no loss to them as a goodwill gesture. Approach to development from a buyer’s perspective. We target the market based on the specific development at hand. A lot of focus is placed on the design in developments. Highs – securing a purchase and selling a completed property are the definite highs. Seeing a completed and staged flat is always a good feeling. Lows – cashflow! Valuations are always challenging. As developers we have a glass half full approach. Our best, mid and base case always seem to work out as base case. Cogress said that not a single project in their £1bn+ list of development projects came in on time and on budget. So, now add in extra contingency on both time and budget on existing contingencies already in place. Lenders pulling finance at short notice can be really stressful. Valuations can be such a challenge as well, paid £4m for a property that was subsequently valued at £1.8m! Advice to would-be developers. Worst case could be your case! Hold back until you find the right project and don’t bite off more than you can chew. One site took 3 years to get planning, another took 2 years to get finance. So have cash reserves available to cater for the unexpected. Property returns are quite similar to equities, although property is now a heavily tax-unfriendly environment. Low double-digit return expectations are more realistic and don’t expect more than that. Won’t all ow my investors to lose their money – be prepared to cover them in the worst-case scenario. Raising funds to pay back investors at the South Kensington property. Treat people in the same way that you wish to be treated. Reputation is very important and needs to be protected. Busy working in the moment…but the Government doesn’t really want more developers but does want large scale institutional investors instead of smaller private investors. Models like crowdfunding and peer-to-peer will pick up the slack. Larger housebuilders will more likely step in to fill the gap. However, property is still a fantastic industry to go into. It can provide flexibility to be the person you want to be and to work in the way you want. People need to change how they do things and be realistic about their returns. We need a clear decision with regard to Brexit and a Corbyn Government could be a threat to the sector too. Do a trainingship, such as a formal RICS programme to get a practical insight and experience. Or ask to shadow a developer, or work in a property investment company to observe how things are in reality. Mapped it out over the summer. An author not a writer. Plotted it out using post-it notes. Rethink Press founder Lucy. Wrote over Christmas so would have limited interruption. After this interview recording, I became aware of some disquiet or concern around some of Nicole’s development progress and investor communications. I then had a conversation with her around this to establish her views on this, which is available in social media. Essentially, Nicole told me that there was a development that did experience some delays and there was also a period of time where the investor communications were not as regular as they could have been. This was partly down to how the platform used works with investors. For example, with Cogress, they control all investor updates and undertake regular checks along the way, so that communication and update burden is removed from the developer there. However, with the Simple Equity platform, it is left to the developer to manage all of this themselves and so could lead to some challenges when investor updates and communications are not part of the core business of the developer. Nicole also told me quite openly that she has 169 individual investors through the crowd platforms she has used. In her own words, 2-3 of these were unhappy, 5-6 are so-so but with the significant majority at least contented with what was happening with regard to their investment updates and the development progress. Perhaps it is worth highlighting once again that property development is a risky area and anyone investing in an equity share should be either a High Net Worth or Sophisticated Investor, which means they can appreciate and tolerate the ups and downs of such an investment at the same time. From what I understand, all of Nicole’s development update communications are now operating and so any individual investor should be able to receive these updates through the platforms through which they invested. Finally, as Nicole clearly stated during out interview, she will not allow any investor to lose money and in the case of an equity investment, this is not by any means a contractual commitment at all, so that’s a big commitment to make in all honesty. My position here is a neutral one, with no judgement applied in either direction and so people should always form their own judgements based on their own independent research and due diligence. 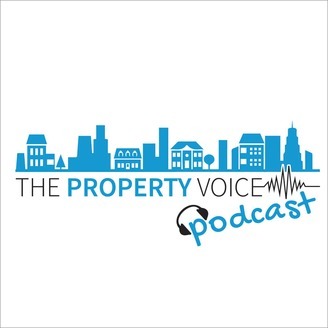 All that is left to say, is thank you very much for listening once again this week and until next time on The Property Voice Podcast…it’s ciao-ciao. The post Series 5 Women in Property: Nicole Bremner appeared first on The Property Voice.